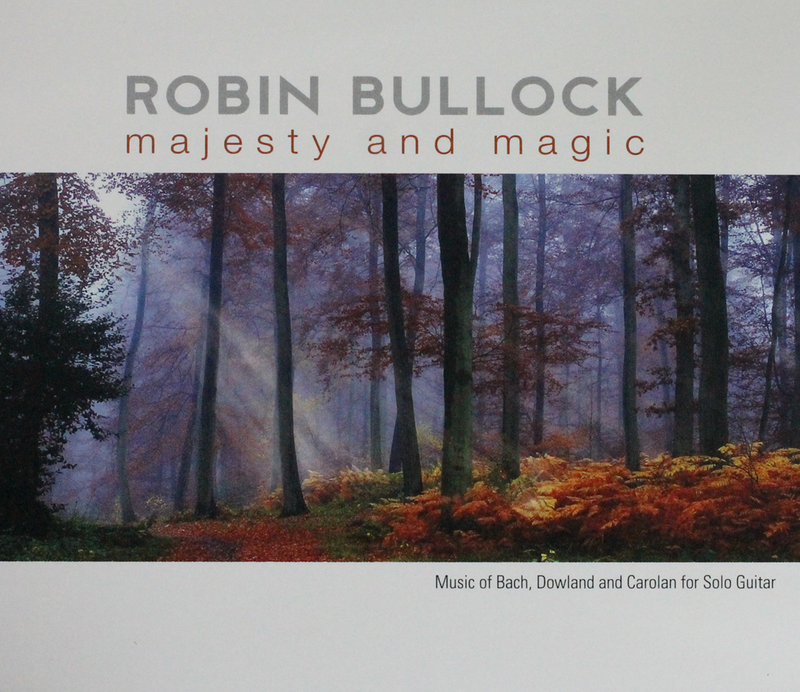 On his ninth solo CD, Robin explores the music of three great composers: the legendary blind Irish bard Turlough O’Carolan (1670-1738); the premier lute virtuoso of Renaissance England, John Dowland (1563-1630); and the master himself, Johann Sebastian Bach (1685-1750). Robin’s exquisite solo interpretations of the timeless works of Bach, Dowland and Carolan carry the steel-string guitar to breathtaking new heights. On this recording an unaccompanied steel-string guitar gives voice to the music of three of my favorite composers: Johann Sebastian Bach, John Dowland and Toirdhealbhach Ó Cearbhalláin (variously anglicized as Turlough Carolan, Turlough O’Carolan or Terence Carolan). Bach, of course, needs no introduction as the supreme master of the High Baroque and one of the greatest musical geniuses who ever lived, whose thousand-plus catalogued works range from intimate solo suites to huge, sprawling passions and cantatas for full choir and orchestra. Carolan was his contemporary, though the two men had no awareness of each other, only sharing a few common musical influences such as Vivaldi. Carolan’s heritage was the tradition of the Irish bards, and the blind harper became the most celebrated of them within his lifetime, leaving a legacy of over 200 tunes for the Irish harp. The melancholy Dowland, who lived a century before the other two, achieved fame almost in spite of himself as a lute virtuoso and composer during the heady days of the English Renaissance, publishing bestselling books of lute songs and viol consort arrangements and ultimately becoming court lutenist to King James I. On the surface the three would appear to have little if anything in common as composers and musicians, yet I find similar threads running through all their work: a melodic grace that transcends the limitations of their various periods, genres and instruments, surprising harmonic and structural choices centuries ahead of their times, and most of all, emotional depth far beyond most other music of their age, or any other age for that matter.